Ring Face Measures 3/8" x 1 1/8". 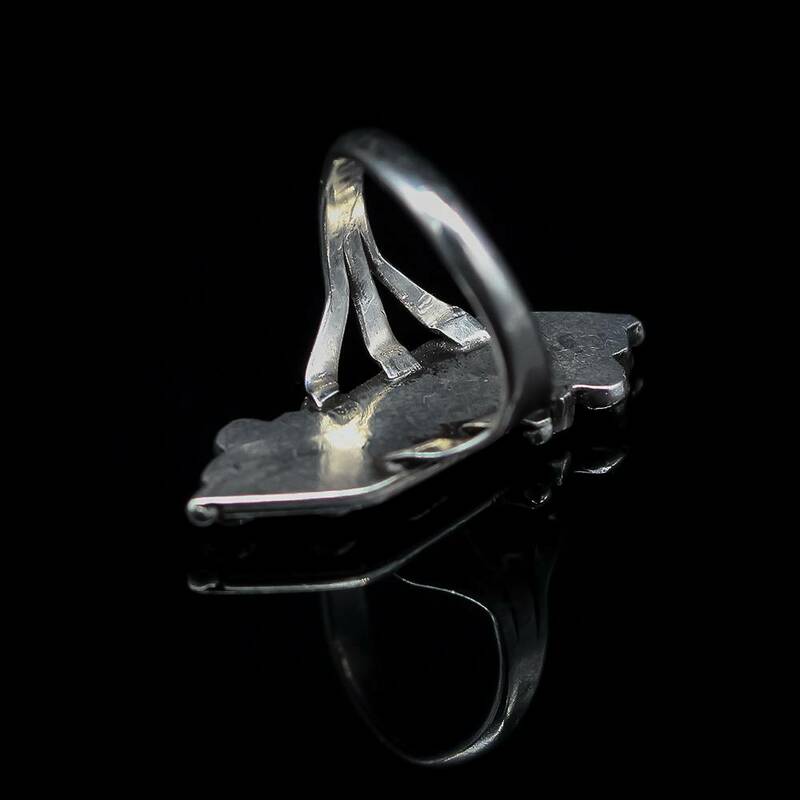 The Zuni petite point style of jewelry has always captured the eye of the collector that is looking for something delicate. 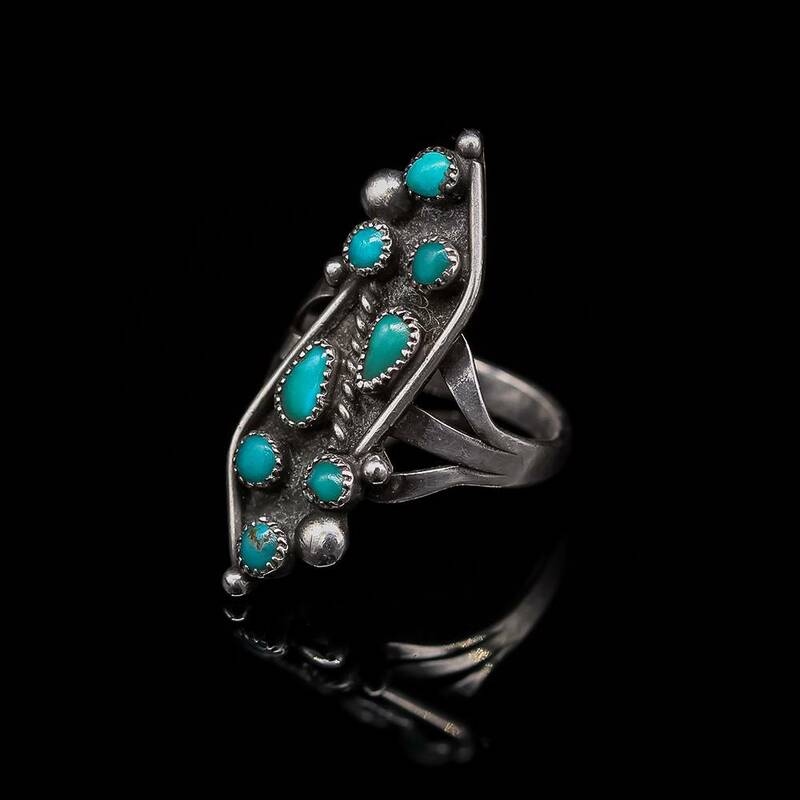 This ring features petite point, the round turquoise and needle point, the oblong turquoise stones. 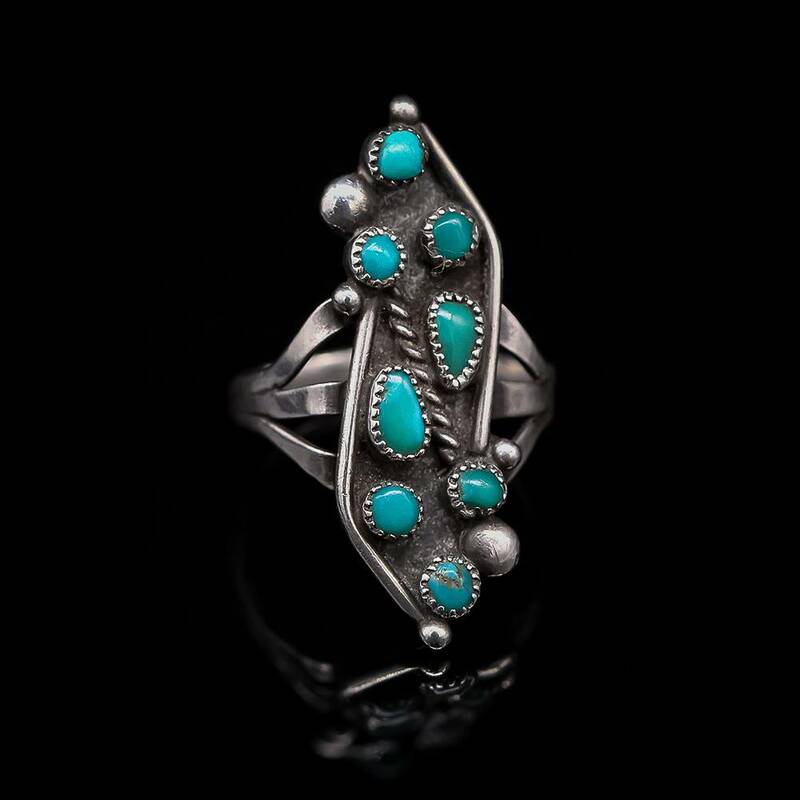 This mid century ring captures the spirit of the southwest with an elegant display of the artist's mastery of turquoise design.